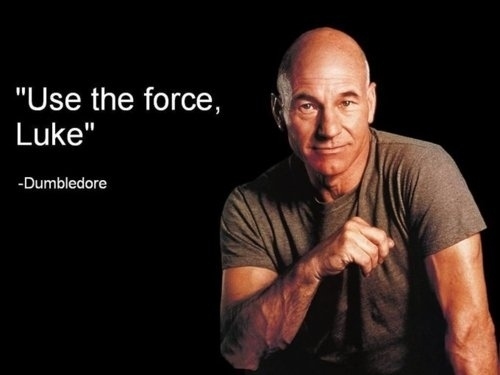 Because who doesn’t love a good Star Wars meets Star Trek meets HP meme? May welcomes not one, but two great Bank Holiday weekends to enjoy, and what better way to shirk off the downright depressing news of late by spending it outside – whether that’s a pub lunch with cider, beer, cocktails and wine, or maybe heading down to a community craft fair at your local park. But the one thing we hate, and it’s prevalent, is the feeling that Tuesday is the new Monday. “Oh woe is me”, says the office worker, while the pub/bar/retail worker grins and spends their Tuesday off watching a Breaking Bad marathon. However, for those who like to wind down and read, we’ve got some fantastic content planned for this month. In honour of a new Star Wars cast and a return to the movies, we have our very own sci-fi theme planned, entitled: May the Force Be With You: A Science Fiction Special. Although we’ve not got anything planned for the 4th – I know, I’m very sorry, guys – we do have a wonderful Alexander short from Dice coming up on the 5th. Next, we’ll (laser)beam you straight into space with Doishy’s “The Sound of Silence” on the 12th, where no one can hear you scream. And on the 16th, new contributor Nonexistent Rose shows us the true meaning of ‘seeing is believing’. As usual, we’ve got a mix of poetry, HHCs and short fiction for all your science fiction needs. Seen as we’re close to the summer holidays, many families are gearing up to jet off for their lazy two weeks abroad with the kids. However, some of us like to avoid the expensive time of the year and head off on our break a little early. May’s HHC is aptly named, Taking Flight, and we’re hoping to see some interesting and diverse entries for this one. So until next month, enjoy the content and the Bank Holidays!